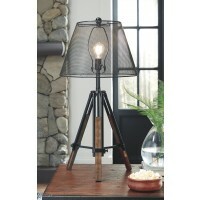 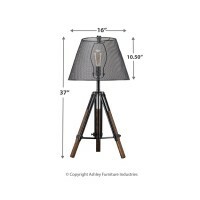 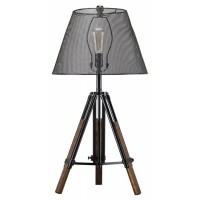 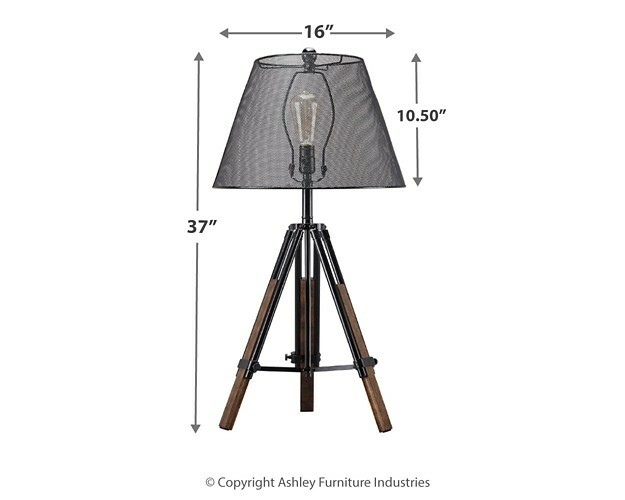 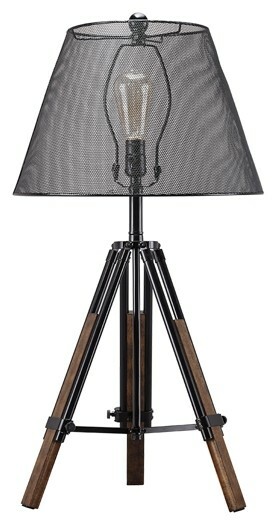 Sporting a snappy tripod base and wire mesh see-through shade, this table lamp strikes a pose for casually cool style. 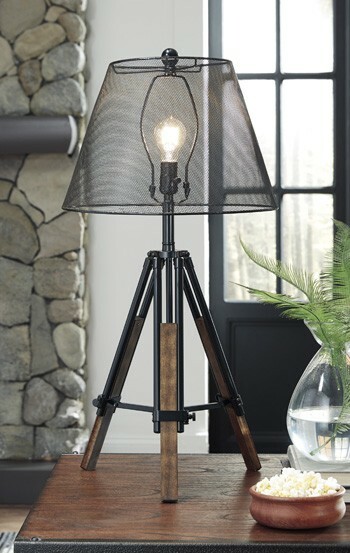 Blend of wood and metal makes it all the more interesting. Adjustable height design makes it all the more functional.